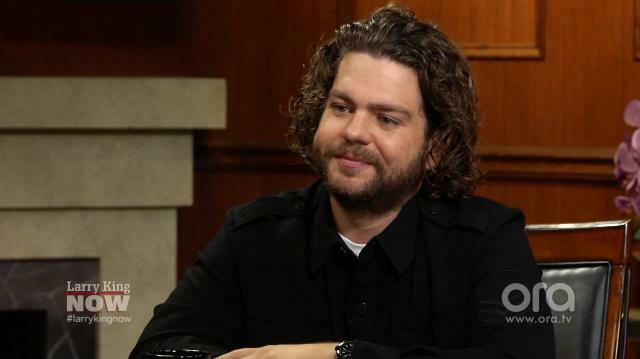 Jack Osbourne tells Larry that he's unsure who he'll vote for in 2016, indicating that he isn't a fan of either Hillary Clinton or Donald Trump. Jack — a dual citizen of the United States and Great Britain — also reveals his thoughts on the Brexit vote for the first time. What kind of grandparents are Ozzy & Sharon Osbourne? Sharon Osbourne on NBC executives treatment of son Jack: "They handled it badly"
King: Last year you spoke out against both Trump and Hillary. King: Have you come to a conclusion? Do you vote? Osbourne: I do vote, yeah. It's actually the reason I became a citizen and not just keep a green card. King: Are you supporting the candidate? Osbourne: I'm still very torn. Osbourne: Yeah. I'm not leaning toward either one. King: So you're the American who don't like, you'd rather see someone else. Osbourne: Yeah, I think that the options that we have been given are unsatisfactory at this stage. But the American people have spoken, theoretically. King: The Brexit decision in Great Britain.What did you think of it? Osbourne: Another one I'm on the fence. I see why people believed the hysteria and went along with it, but I also feel that it's a bit of a step back. Like why? Yes, there's money that we're spending towards the EU which we don't necessarily get back, but you do in other ways because of the open borders allow free commerce and trade and it just made sense to me. But I can see now, with the issue of Isis in Europe and if you want to start feeding into the fear of things, how some people would see it as a problem.